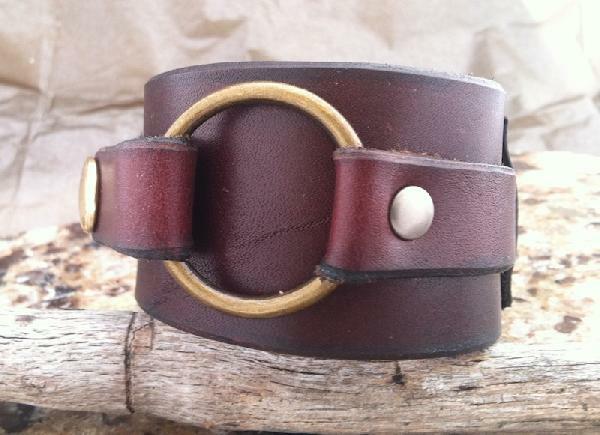 Brass ring leather cuff made with Horween leather in a gorgeous red-brown. Detailed with a brass ring taken from on old messanger bag. Comfortable and beautiful is what this piece brings.